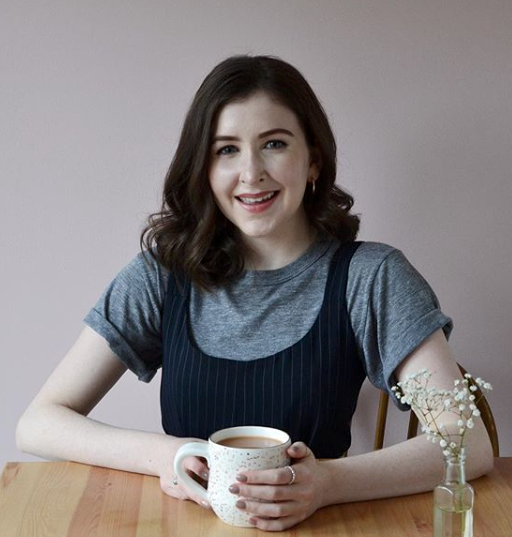 For the launch of our 2018 batch of our seasonal favourite Plum Gin Liqueur, we teamed up with Scottish blogger Hollie Berries and asked her to create something delicious featuring our plum gin. 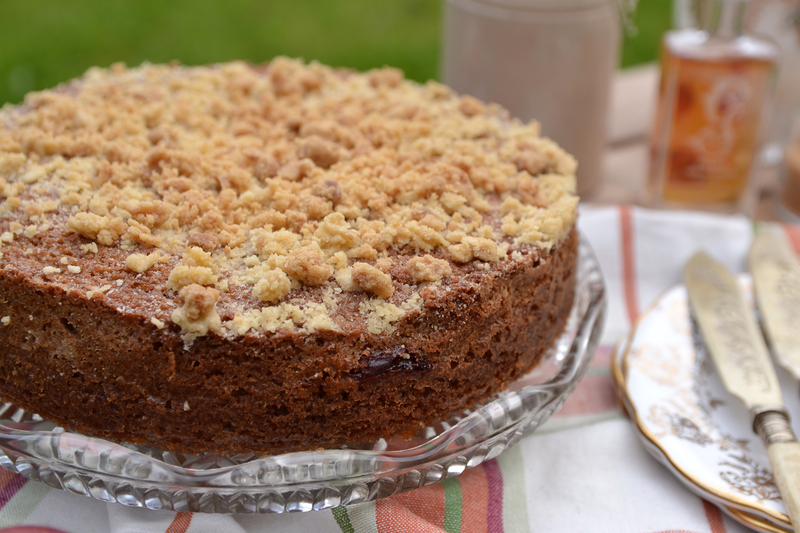 It's safe to say she delivered with this delicious Spiced Plum Gin Crumble Cake! 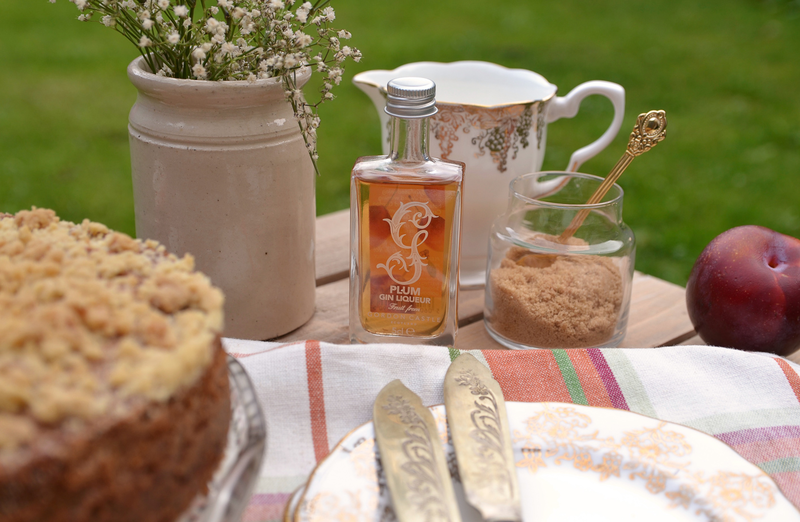 When the lovely people at Gordon Castle asked if I would like to create a recipe with some of their beautiful gins, I jumped at the chance as I knew how fitting their wonderfully Autumnal Plum Gin, which launches this week, would be for some seasonal baking. 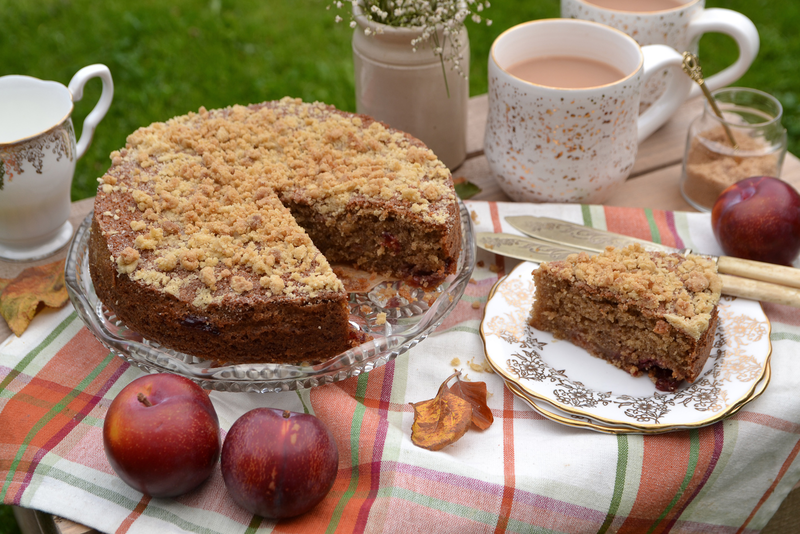 Combining a classic Autumn dessert with a soft sponge, this Spiced Plum Crumble Cake works beautifully with the combination of Gordon Castle Plum Gin, juicy seasonal plums and warming spices harmonising to create a complete taste of this magical time of year! Preheat the oven to 180 degrees and line a 20.5cm cake tin with baking paper. 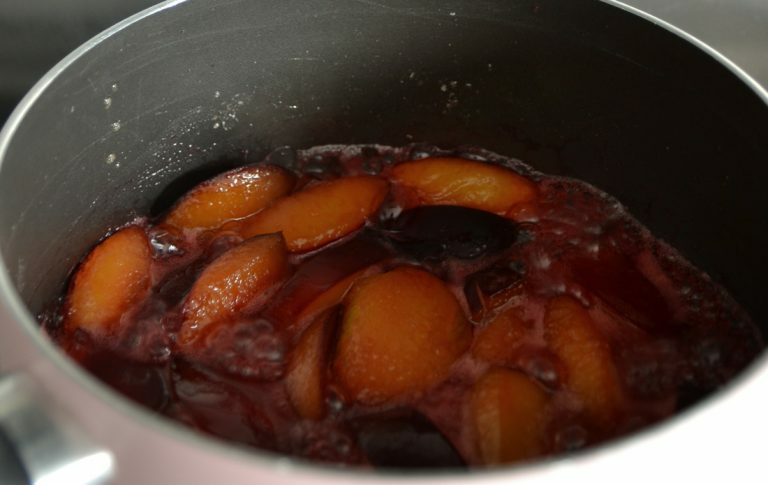 Firstly, make the plum jam by placing the sliced plumbs, allspice and sugar into a pan over a medium heat. Pour in the Plum Gin and leave until the mixture begins to bubble, then turn down to simmer for around 15 mins stirring occasionally, until the mixture has thickened and resembles a jam. Remove from the heat and set aside to cool. Make the crumble topping next by sifting the sugar and flour into a bowl together along with the softened butter and rub together with your fingertips until the mixture has combined and looks lovely and crumbly. Set aside to use later. 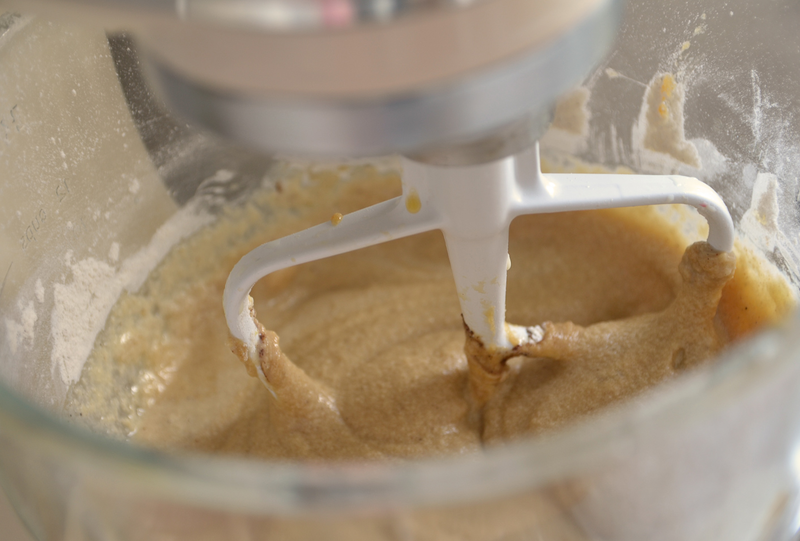 In a freestanding mixer or with a bowl and whisk, mix together the softened butter, sifted sugar and eggs until the mixture is incorporated evenly. 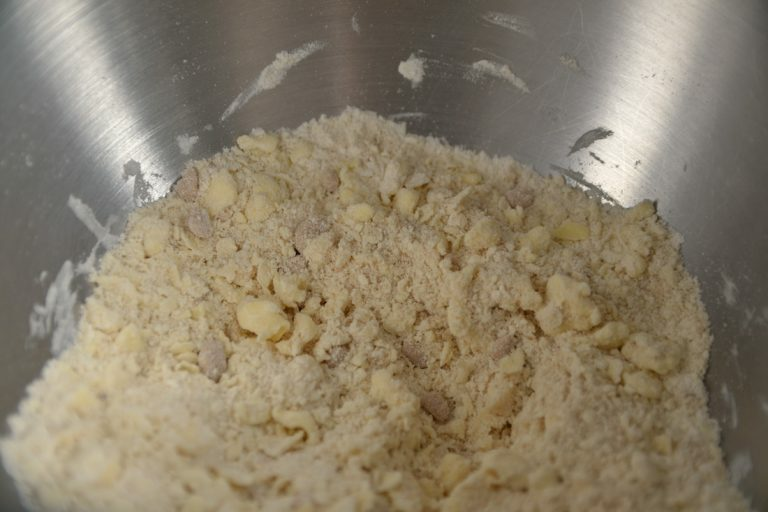 Sift in the flour, baking powder and allspice and continue mixing on a medium speed until just combined, then continue to mix as you slowly add the milk a little at a time until the mixture is smooth. 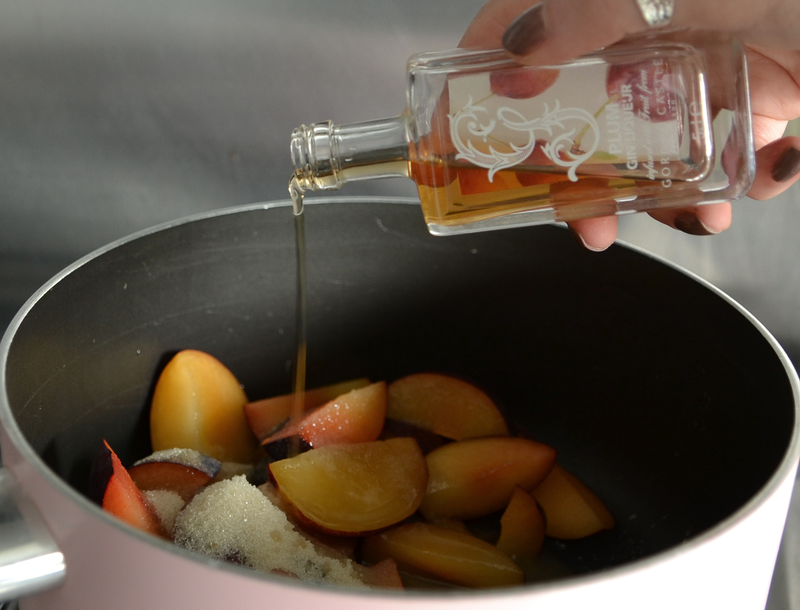 Pour the mixture into the prepared cake tin and use a spatula or the back of a spoon to spread evenly. 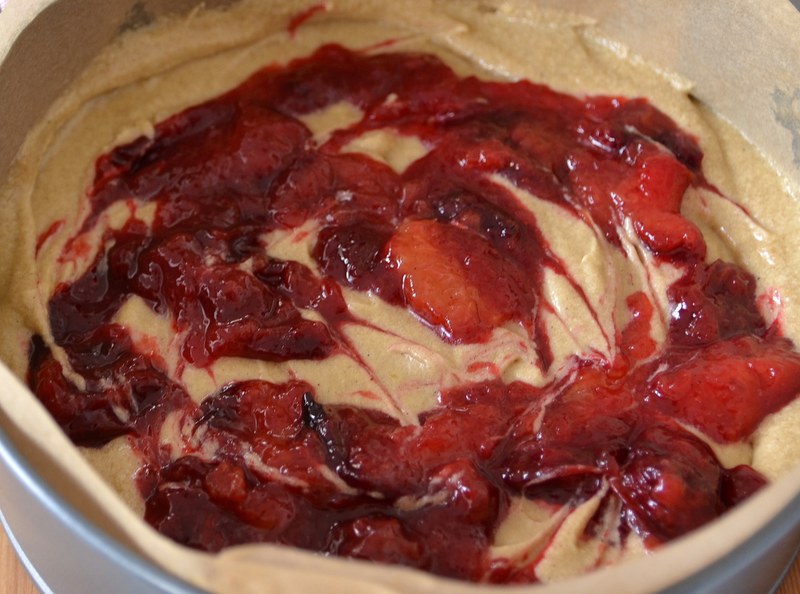 Carefully spoon the plum jam mixture over the top of the of the cake batter covering it evenly. Next, sprinkle half of the crumble topping evenly over the top and save half to one side for later. Place the cake in the middle shelf of the oven for about 45 mins. Once the cake has been baking for 45 mins remove carefully and sprinkle the remaining crumble topping over it then place back in the oven for 15 more mins, until a skewer test comes out clean and the sponge is springy when pressed.